My former disciple at the evil organisation, currently the hero of justice came looking for me. Can’t you all just leave me alone? Well, surely it's a hilarious story and a refreshing one while we're at it. However the overused pattern (of jokes and scenarios) is hello annoying, especially during the academy grinding arc. The same word, the same act, the same reaction over and over again, not to mention the side Story and different POV, sure, some of them are funny, but mostly aren't. I really wanted to like this, but it's boring. POVs are all over the place, going forward and back on the time line, making it confusing and unfocused. MC has 40 year time skip from being a farmer to a 'drill sergeant' for an evil corporation in a few paragraphs. Things that would be a nice plot twist are instead explained in a dumb POV internal monologue. Several POVs of the same scene, including from side and unimportant characters. For more than 20 chapters he's training a new class and nothing really happens. Finally someone start translate this series which send me into Ecstasy. Basically this story is really similiar with Konosuba except the MC doesn't really have talent and try to act like a villain. Really recommend it for those who love Reincarnation Story with less focus on Harem and s*x Tags. "Although it was pure nonsense, I was thinking that although world conquest might be difficult, assassinating the demon king might be doable." I consider this quite the improvement over the original. The author clipped away a lot of the info dumping that happened early on in the story and expanded a lot more upon the training process of the first 3 disciples of the MC we're introduced to as well as the Yugrasia students. I've seen some people complain about the new added content for the Yugrasia arc being "filler", but I can't disagree more. The only character (not characters) that ever got any development in the original version was the student council... more>> president himself, while all the other students and teachers were barely there. Even Aris, who was supposed to be trumpeted as one of Yugrasia's major players, was barely more than a bit player in the original. I can't help but see these complaints as simply being impatience towards getting to something "new" (despite all this "filler" actually being new content as well) rather than proper critique towards the quality of the story, since I can only see all this as an improvement due to the added depth given to characters aside from the one guy this arc focused on completely originally. I have really mixed feelings about this. I really liked the original so I'm glad that someone took this remake on. My biggest problem is really just... the characters feel way over the top in their reactions. Specifically the whole yandere thing as well as the whole death is better than getting hit by the bat charade. Sure, the bat thing was funny for the first few times but seriously it's f**king bad when it's very overused. It's been in most of the paragraphs ever since it got introduced and... more>> it's not even that much of a hyperbole when I say that. The best things that happened so far were the really interesting ways he pushed his disciples to their limits and yet when it comes to the previous disciples, it's always the mother f**king bat. Sure it makes sense if you really want to justify it, but that doesn't make it a great read. It really simplifies the characters to just people who are afraid of the bat. That's 50% of their personality, the rest is like yandere or some sh*t. That's all there is to their characters. Also, there are some really questionable decisions that the translator made. Like putting question marks on declarative sentences? It doesn't make sense grammatically? It's not just mildly irritating to read this? Or. When. He. Writes. It. Like. This. When. Someone. Is. Talking. Slowly. Greetings to the successor of the bat! Finally someone has started translating this masterpiece again! Well in all honesty I could really say that base on my experience of reading a looot of different novels, this novel is really one of the most hilarious and funniest one that I've ever read. What can I say? Its a comedy story based around internal monologues and interaction between characters. It does its job as a comedy story very well, with many funny things going on around the main character. The descriptions and general feel of the story always leaves one wanting more. TL;DR It is a good story. So far, this is following the original pretty closely. I'm looking forward to the changes in future chapters and, of course, to the completion of the series. This is laugh-out-loud hilarious with its ridiculous over-the-top scenarios of training from Hell--and the personality changes that result for those who survive. The earliest chapters (before the school arc) got me hooked right away. The MC is quirky and silly, and the unfolding of that most sacred holy weapon left me totally speechless. A perfect mixture of humor and action, with just the right amount of mystery to keep us turning the pages. But... the school arc happened. Well, does that can be called an "arc", though? I had hoped that the plot would start to expand a little bit. Sure, I can handle fillers. After all, we're still at ch 70-ish,... more>> and "fillers" sometimes are necessary to solidify background story or worldbuilding. But... the school "arc" filler is needlessly long. It's kinda repetitious, especially after the 1st "arc", and can certainly be cut in some places. I mean, I wanted to know more about the world, it's condition, the politics, connection between nobles, or anything to expand my "worldview" after being stuck at a sandbox called "facility"! I want to know more about our MC! But instead, we got stuck to another sandbox called "school". The pov changes that once adds the charm to this series start to be an unnecessary hassle, since so little of it actually focuses on our MC, but instead focus on some unknown new characters that I couldn't care less. The world is vague at best, and the system of magic etc are also very, very vague. And honestly, it's kinda dumb. The MC was supposed to be a man in his 40 or so, with rich experience in the way of the world. Considering his circumstances, why did he do something as flashy as that? Ridiculous. I'm withholding my judgement about this one. I've heard stellar reviews that was given to the older version, so I thought that i'd stick around untill ch 150 or so. But...I wouldn't put up too much hope in this one. Always a pleasure to read. Very similar to the the previous version, but different enough to enjoy and plot holes are filled in nicely. Read this book. I'm honestly glad that the author decided to remake the original. This is definitely one of the best stories to read if you are looking for humor. The translator is doing pretty good job and MC is NOT like one of those usual light novel protagonists who seek out harem. In fact, the MC runs away from his potential love interests due to the fact that they're yandere and crazy as hell. I always feel much better after reading an update. If you are feeling down, just read this story! It's ok just suffers from too many POV change, One chapter you'll have POV of MC then next chapter you have the previous chapter through a different person's POV. Comedy gets old fast and the characters seem dry and how they make them crazy. Was 4 star until the extremely boring school arc appeared, I hardly ever like school arcs before as they usually take too long/cliche yet this one takes the cake for dry with the incessant POV's that is usually monologue after monologue. If you like a lot of POV changes... more>> and snail pace plot advancements that make watching paint dry seem better than read it. Seeing these 5 star reviews makes me wonder if people are so use to reading garbage that they confuse mildly ok novels as perfect or almost perfect. To be honest, the first one is a masterpiece, although I understand that making the sword master a reincarnator is a mistake and so author decided to redo it. But this version is a mistake, it's full of fillers, the magic from the first one is gone, its been a hassle to read each chapter now, unlike before I would have wanting more, now I just want the arc end. Friggin great novel. I highly recommend people reading this if you're looking for a comedic short, especially when you get to see a bunch of miserable students suffering under their great (devil) teacher. This novel is a sadistic slapstick comedy in its full form! The protagonist isn't your usual protag, who become fodder with woman who love him. Instead, he make them to become fodder to his weapon! A slap and they will be obedient. That's his style of teaching!! In other words, think of Super Sadistic Kazuma from Konosuba without his companion. And he is sadistic to everyone. That's the MC. A laughter inducing Novel. 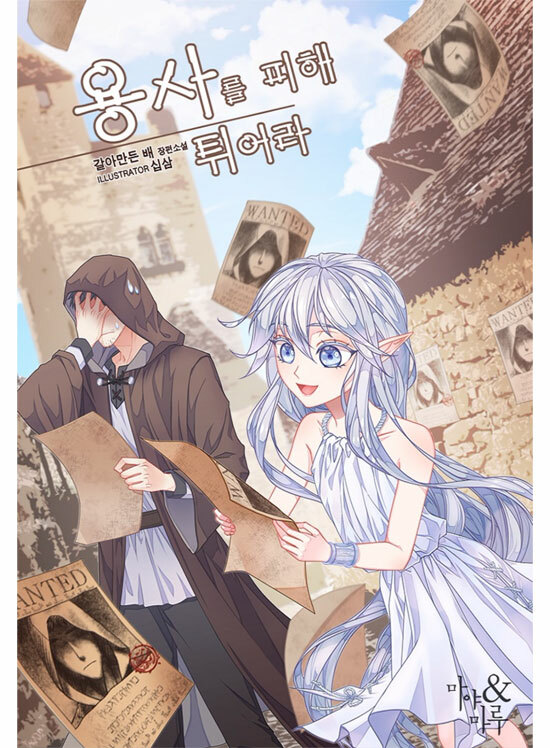 Certainly this is unique and original story of otherworld type novel. There's no bullsh*t about tales from baby, just to the point. Our MC are like a villains mentor who really doesnt think he's fit a role to be villain, yet others know him as most as*hole villain person ever. Other character are interesting and funny too, especially his disciple. If the author didn't make the stupid dizzying pov transitioning, this novel would have been much greater. The novel is funny but it offsets the mood when changing perspective. But still a hidden gem that should be read when you want a funny novel to read. I read a lot of crappy stories. Slogged through a valley of silicon. Climbed fictional peaks with heroes. Raised slime to wage war. Race cars and heat bath water. All in the same day. However most of those stories are okay. This is great. This is gold. I'm happy when I finish a chapter. I don't believe there are many out there with this quality.